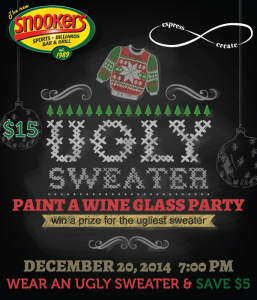 Come join us at Snookers Bar & Grill in Providence, RI for our Ugly Christmas Sweater Wine Glass Paint Night!! 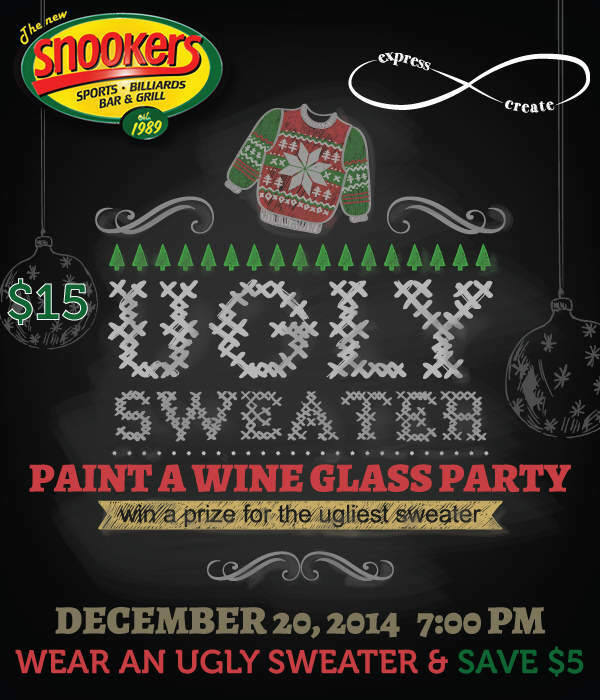 Receive $5 OFF when you wear your Ugly Christmas Sweater to the event! We will have several choices of glasses for you to choose from – pick whichever you like and create your very own custom glass!